If the first thing you want people to see when they visit your church website is a picture of your members holding Chick Tracts…you might be a fundy. But if you add the words “The King James” to the song The Bible Stands then you most assuredly are. Buckle up, folks, we’ve got a live one today. Don Boys (Ph.D) is a fundamental Baptist preacher who was also elected to the Indiana House of Representatives, and was identified by the media as the ”most conservative member of the General Assembly.” And with good reason. 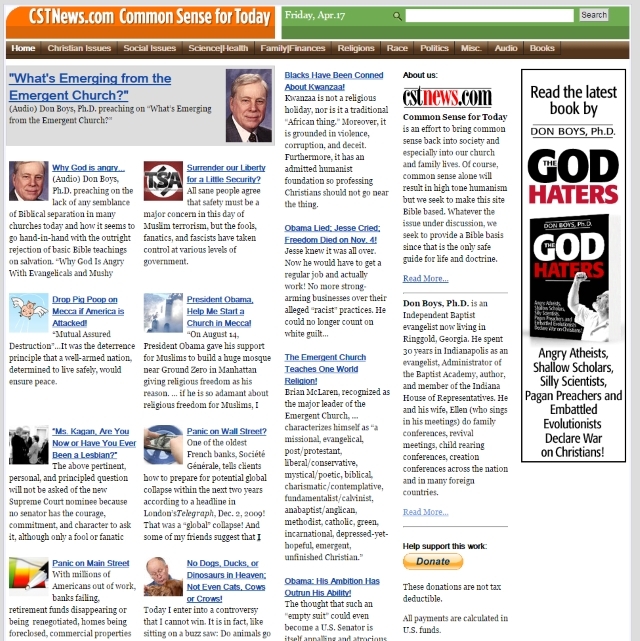 His articles include telling us why Jesus Wouldn’t Raise the Minimum Wage and a treatise on whether or not animals go to heaven. He also runs websites muslimfact.com and TheGodHaters.com. We often reference the tacit racism that exists in the history of fundamentalism. Nevertheless, it’s worth remembering that there are minorities who do join and even lead in parts of the movement. Which requires us to ask “why?” What in their history and philosophy makes the IFB so incredibly bad at reaching out to the black community? Perhaps the place to start is by looking at the era and the cultural values that fundamentalists glorify and realizing that there is little space for other peoples and cultures there. Of particular interest to me is this article on judging, exposing error, and name calling. I’m sure given this they’d have no problem at all with what we do here at SFL, right? There is also a strange screed that seems to be more than a little anti-Semitic and more bible version comparison charts than you can shake a Greek Lexicon at. 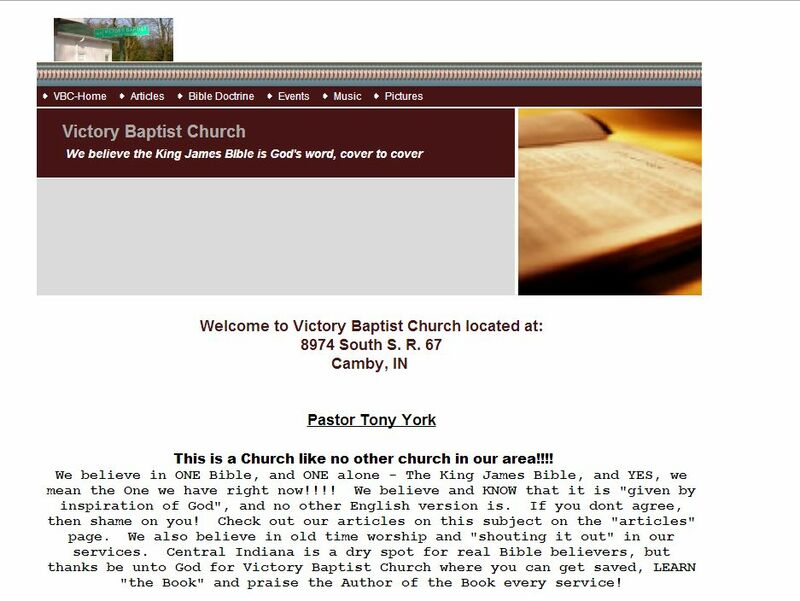 Today’s website pick is the home of Victory Baptist Church in Camby, IN where I’ve heard the people sometimes tithe in bullets because they know how much their pastor loves to shoot. I especially like the admonition to “MAKE SURE TO CHECK OUT ALL OUR SITE, OR ELSE!! !” See that you do.